* Included with accessories that require 3WFA-01 for mounting. 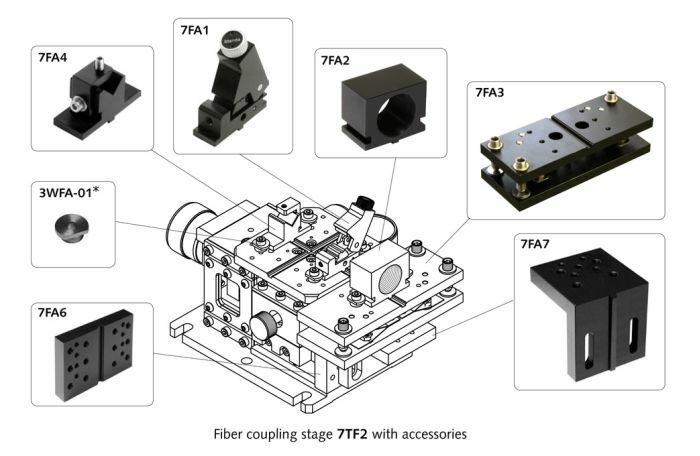 7FA1 is fast release Adjustable Force Fiber Clamp allows fixing fibers of different diameters in V-grooves. The top knob is used to adjust the clamping forces that the clamping arm exerts on the fiber, this feature is useful when working with specialty fibers such as highly birefringent fibers, photonic crystal fibers, or different glass fibers. 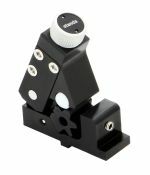 This Adjustable Force Fiber Clamp has been designed to allow rapid mounting and dismounting of a variety of photonic components from bare optical fibers, optical fibers mounted in ceramic ferrules, to multi-channel waveguides. This accessory prevents cabled fiber from being accidentally disturbed. For cables with diameters from 900 µm to 3 mm.